Lama Jampa Thaye's main activity is to support H.H. Sakya Trizin, H.H. Karmapa and Karma Thinley Rinpoche to continue the transmission of the Buddha's teachings; this includes providing personal guidance to his students so they are able to fully integrate Buddha's teachings into everyday life. 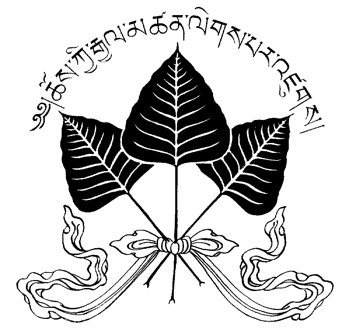 A comprehensive education in Buddhism requires study of Buddhist literature, in the form of poetic compositions by historical Buddhist masters (shastras), commentaries, explanatory manuals, as well as the original teachings of the Buddha found in the sutras and tantras. Lama Jampa provides the transmission and explanation of the vast array of texts that he has received from his own teachers. He is able to give the reading transmissions in the traditional format while explaining the meaning in a modern, practical and engaging way. This allows students to receive an education comparable to that of classical Buddhist studies in India and Tibet. Empowerments (Abhisheka) and initiations: performing the complex ritual ceremonies that allow students to enter the vajrayana through outer and inner dependent origination. Reading transmissions (Lung): the formal reading of texts to students as a preliminary to serious study and practice. Detailed practice instructions (Tri): enabling students to fully engage in advanced vajrayana practices. Lama Jampa gives public talks all over the world to introduce core Buddhist principles to the wider public. As a guest on radio, television and internet broadcasts, he speaks on topics covering Buddhism, contemporary ethical issues and modern spirituality. In addition to speaking and teaching in group settings, Lama Jampa dedicates a large part of his time providing personal guidance to his students who require instruction in their studies, meditation practice and incorporation of the dharma into everyday life. Lama Jampa has written numerous works. Click here for books and articles.